Thank your entire partner base? Reward hundreds of your employees for their dedicated service? Show your gratitude to your clients with a special gift? Say Happy Holidays to loyal customers with all the gifts arriving on the same day? 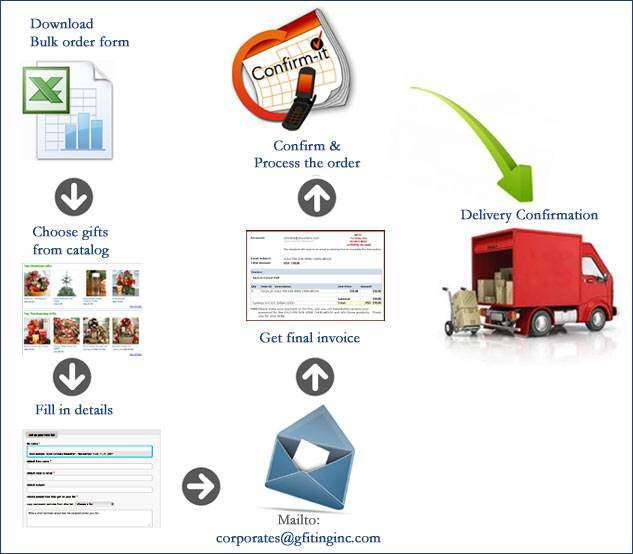 Then Business Gestures is your one-stop answer for all your corporate gifting needs. Save time by placing multiple orders with our user-friendly, MS Excel-based Bulk Order form which reminds you to enter the required information and makes it simple to process and manage large corporate orders. We will review your request and send you a final, confirmed price. That’s just it; your order will be delivered, safe, secure and fresh! With our 100% Satisfaction guarantee, you can be assured your efforts will always be a huge success. You can also be partnered with our dedicated Account Manager who will help you design a program that fits your needs and budget. Select the country where you would like your gift delivered from our International Online Corporate Gifts catalog below.